With over 50 National Parks in the North of Thailand, Chiang Mai is truly a playground for those who enjoy the outdoors. The ancient capital of the former Lanna kingdom, Chiang Mai has a very distinctive culture, arts, festivals, and traditions. Chiang Mai can trace its history back more than 700 years, and is home to over 300 temples dating as far back as the 13th century. 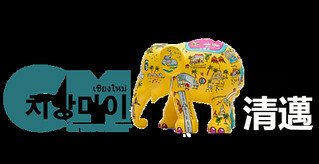 Chiang Mai is home to more than 50 elephant sanctuaries. Enjoy intimate interaction with the elephants and witness their behaviour in their natural habitat. Celebrated as The Rose of North, Chiang Mai remains the most beautiful, elegant and historically & culturally interesting city in Thailand. It lies in a valley surrounded by wooded hills of great beauty, making the city an ideal setting for trekking, elephant interaction and white water rafting. Chiang Mai is also home to a dozen different colourful hill tribes, each with their own distinctive attire, customs and dialect. For cultural enlightenment and action-packed adventure, there’s no better place to be than Chiang Mai. The ancient capital of the former Lanna kingdom, Chiang Mai has a very distinctive culture, arts, festivals, and traditions. With history of more than 700 years, it is home to over 300 temples dating as far back as the 13th century.